The OPPO R17 has just been made official in China with a SD 670 chipset and a small notch on top of the display. We could see the ‘teardrop’ style notch from the OPPO R17 making its way to the OnePlus 6T, allowing for an even bigger screen-to-body ratio of 94 per cent. 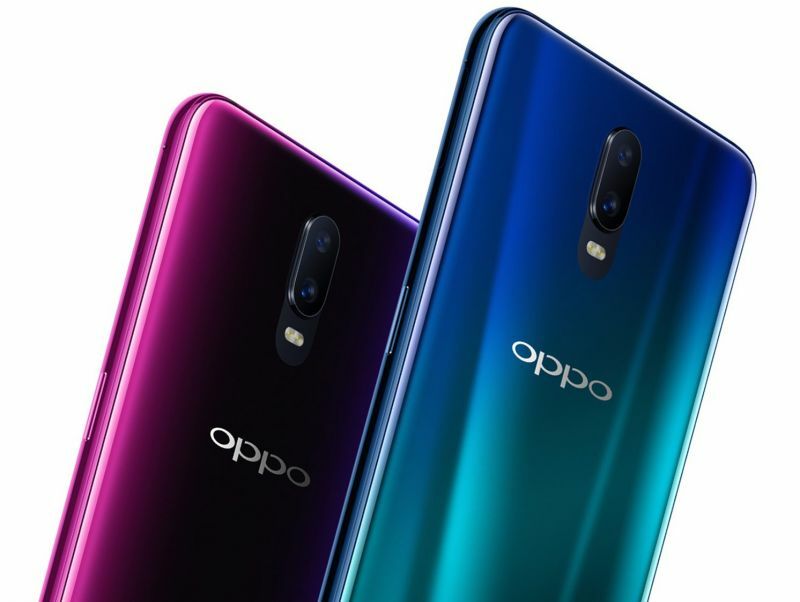 OPPO has just made their next flagship smartphone official in China. Called the R17, it has been priced at 99999 Yen (approximately Rs 63,000) and comes with a host of flagship-class features. 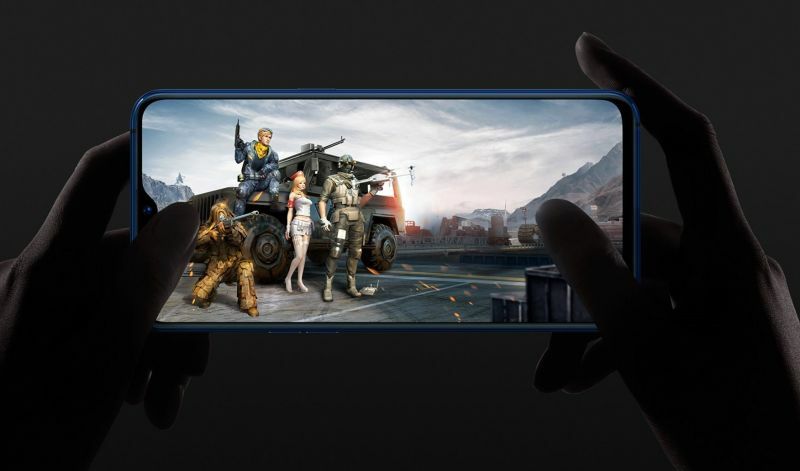 The R17’s headlining feature is its display — a massive 6.4-inch AMOLED display with no bezels to the sides, a narrow chin and a slim forehead with a tiny notch on top housing the 25MP front camera. 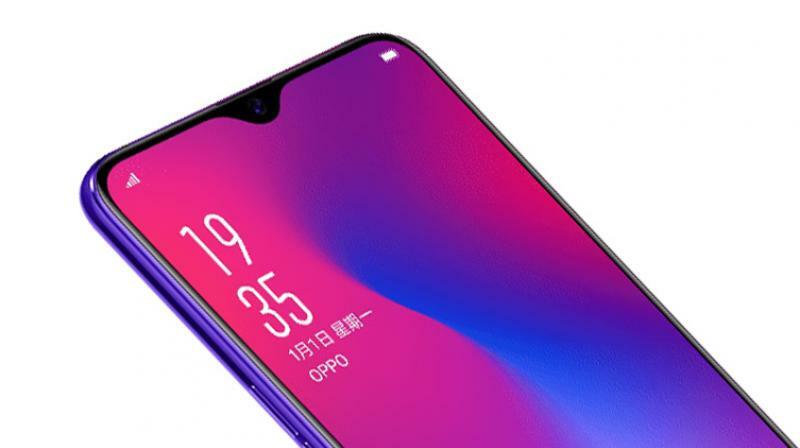 The earpiece rests above the notch, thereby making the notch smaller than previous OPPO phones. There’s also an in-display fingerprint sensor for biometric authentication. Underneath, there’s Qualcomm’s newly unveiled Snapdragon 670 chip paired with up to 8GB of RAM and 128GB of internal storage. The smartphone runs on ColorOS 5.1, which itself is based on Android 8.1 Oreo. OPPO hasn’t mentioned much about the rear camera, but it is said to be empowered by AI for enhanced photography. A 3500mAh battery will be equipped with their VOOC Flash Charging. In the past, we have seen OPPO’s R-series smartphones being tweaked mildly for the flagship offerings from OnePlus. Until the OnePlus 5T, most of their smartphones were loosely based on the R-series smartphones of those years. OnePlus went for a different approach with the OP6, adopting new design ethos seen never before on any other OPPO device. The R17’s rear clearly seems to have taken inspiration from the OnePlus 6, especially with centrally mounted vertically-aligned dual rear cameras. The overall shape is also pretty reminiscent of the OnePlus 6 in a way. Therefore, it is expected that OnePlus will borrow some elements from the OPPO flagship for their next device due for launch in the later half of the year. We could see the ‘teardrop’ style notch making its way to the OnePlus 6T, allowing for an even bigger screen-to-body ratio of 94 per cent — this will allow OnePlus to retain the waterproofing capabilities from the OP6, which couldn't be possible with the Vivo NEX-style pop-up camera mechanism. The in-display fingerprint sensor making it to the OP6T is doubtful, considering the verification processes haven’t caught up with the capacitive counterparts. The VOOC Flash charge could also end up being the next iteration of OnePlus’ Dash Charge (now Fast Charge). We could also see OnePlus offer colour shifting variants on the 6T — a change from the subtle OnePlus devices of the past. Do note that these are just predictions and there might be a high chance that the OnePlus 6T could end up being a completely different device than the R17. The OnePlus 6T is expected to unveiled sometime around November, sporting Qualcomm’s flagship chipset and a mostly stock-ish Oxygen OS based on the Android 9.0 Pie.